Sometimes life will throw big expenses your way. When that happens, tapping into the equity in your home can be a smart way to get the funds you need. In particular, doing a cash-out refinance is one way you can take advantage of your home’s equity, all at a fraction of the interest rate of a credit card or personal loans. Keep reading to learn what a cash-out refinance is, how it works, and whether it may be the right option for you. Refinancing your mortgage may sound complicated, but at its core, it’s simply the act of replacing your current mortgage with a new one. Usually, people decide to refinance in order to secure a better interest rate, a lower monthly payment, or even in an effort to pay off their loan sooner than expected. Typically, when refinancing, the homeowner will take out a new loan that’s worth enough to cover the cost of their current mortgage, plus any possible closing costs. That way, the new mortgage essentially takes the place of your old one and you don’t lose any progress you’ve made toward paying down your loan. How is a cash-out refinance different? That said, a cash-out refinance works a little differently. In this case, rather than taking out a loan for the same amount as you currently owe on your home, you take out a surplus. That surplus is then given to you in the form of funds that can be used however you wish. From that point on, the loan functions like a traditional mortgage. You’ll start making regular, monthly payments on the new mortgage amount. For example, let’s say that you need $50,000 to cover the cost of doing some remodeling work on your home and you still owe $200,000 on your current mortgage. In this case, you would take out a new mortgage that’s worth $250,000. You would then use the first $200,000 to pay off your old mortgage and then pocket the remainder to cover the costs of the remodel. What are some good reasons for using a cash-out refinance? The loan is secured by your home, which means you could be at risk of foreclosure if you ever decide to stop making payments. 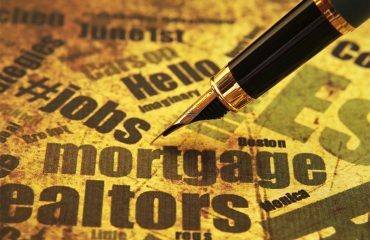 The qualifying requirements for a mortgage are stricter than they are for other types of loans. Your debt-to-income ratio and credit score should be in decent shape before you apply. You have to pay the closing costs associated with your new mortgage. Often, these fees can be worth up to 1%-2% of your loan.